Jaime | 2:13 PM | 2018 Books | blog tour | Contemporary | KCP Loft | Kids Can Press | Lindsay Champion | music | Romance | Someday Somewhere | Yalit Please comment! Hey everyone! 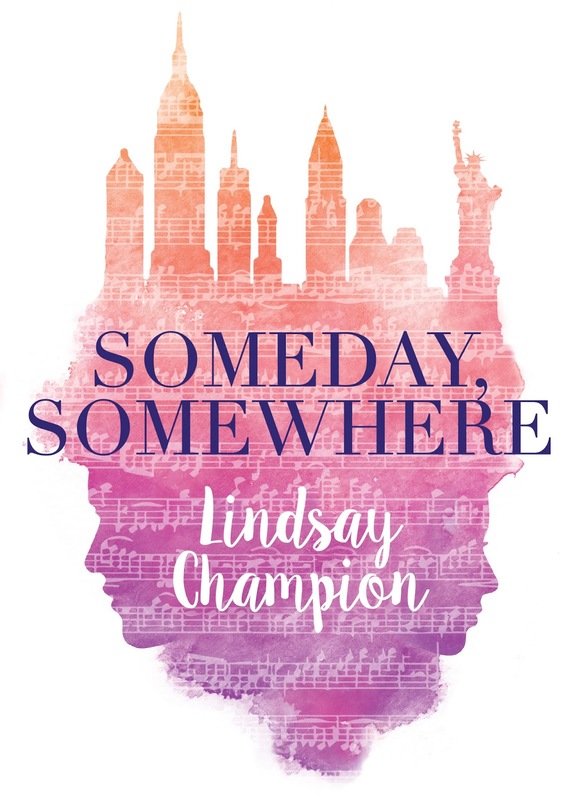 We are super excited to announce a tour we're hosting for SOMEDAY, SOMEWHERE by Lindsay Champion which releases on April 3rd! The tour will run for two weeks - from March 26th-30th & April 2nd-6th will have two stops per day and will consist of a mix of reviews, interviews, guest posts, and excerpts. The bloggers who are chosen as hosts for a an interview or guest post will be required to come up with interview questions (at most five). We are totally stoked for the tour for SOMEDAY, SOMEWHERE this March/April! We can't wait for everyone to read it! When Dom's class is taken to hear a concert at Carnegie Hall, she expects to be bored out of her mind. But then she sees the boy in the front row playing violin like his life depends on it --- and she is transfixed. As Dom's web of lies grows, though, so does Ben's obsessive need to conquer Beethoven's famous Kreutzer Sonata. But Ben's genius, which captivates Dominique, conceals a secret, and the challenges of her life may make it difficult to help him. Alternating perspectives and an unreliable narrator create suspense and momentum, romance and heartbreak. Author Lindsay Champion's deep roots in theater and music are evident on every page --- structured like a sonata with hints of West Side Story, her debut novel hits all the right notes. 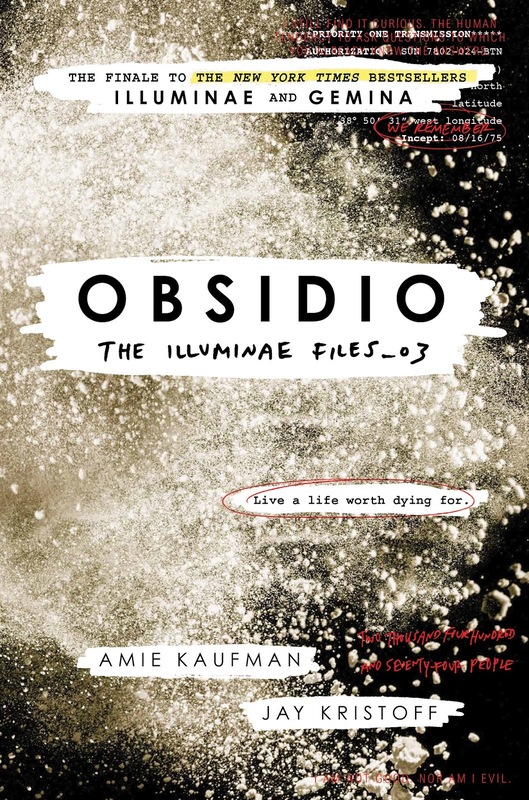 Jaime | 11:04 AM | 2018 Books | Amie Kaufman | blog tour | Gemina | Giveaway | Illuminae | Jay Kristoff | Knopf | Obsidio | Random House Books for Young Readers | Romance | sci-fi | Space | space opera | The Illuminae Files | Yalit Please comment! Hey everyone! 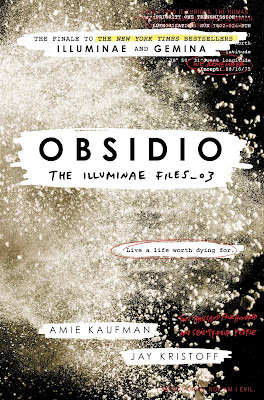 We are super excited to announce the schedule for the OBSIDIO Blog Tour which begins on Thursday, March 1st! 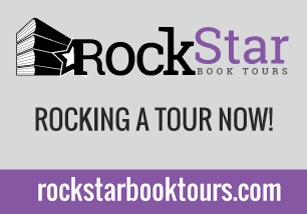 The tour runs from March 1st-30th weekdays only, will have one stop per day, and will consist of reviews & excerpts! Kady, Ezra, Hanna, and Nik narrowly escaped with their lives from the attacks on Heimdall station and now find themselves crammed with 2,000 refugees on the container ship, Mao. With the jump station destroyed and their resources scarce, the only option is to return to Kerenza—but who knows what they'll find seven months after the invasion? With time running out, a final battle will be waged on land and in space, heros will fall, and hearts will be broken. Jaime | 11:32 AM | 2018 Books | Antipodes | blog tour | Contemporary | Michele Bacon | Sky Pony Press | Skyhorse Publishing Please comment! Hey everyone! 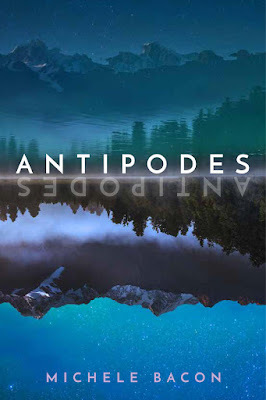 We are super excited to announce a tour we're hosting for ANTIPODES by Michele Bacon which releases on April 3rd! We are totally stoked for the tour for ANTIPODES this March/April! We can't wait for everyone to read it! When Erin Cerise steps off her plane in Christchurch, New Zealand, she is focused intently on her mission: do something unique that will erase the mess she made of her life days before her 17th birthday. She’s already lost her swim team captainship, her boyfriend Ben, and her reputation. Her mother is certain studying abroad will regain Erin’s chances of a good future. Once Erin sees her uninspiring host family and city, though, Erin’s not so sure. Before Christchurch, Erin wasn’t always intense and focused. A mission used to sound like a fun adventure, and the only ivy she cared about was the stuff growing around her grandparents’ back porch at their peaceful Upper Peninsula home. When had her priorities gone upside down? Now Erin balks at NZ’s scratchy school uniforms, cold houses, and her hosts’ utter inability to pronounce her name correctly. Christchurch does boast amazing rock climbing, gorgeous scenery, and at least one guy who could make her forget Ben if she lets him. With months ahead of her, Erin slowly begins to draw on the years behind her, one step back into her memories and then another, as she rebuilds her life from the other side of the world to find that when life turns your world upside down and you’re farthest from home, every way you move takes you closer to where you came from. Jaime | 11:42 AM | 2018 Books | Anna Mainwaring | blog tour | Contemporary | KCP Loft | Kids Can Press | Rebel With A Cupcake Please comment! Hey everyone! 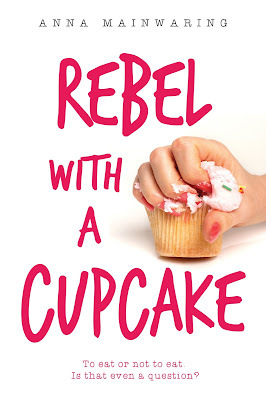 We are super excited to announce a tour we're hosting for REBEL WITH A CUPCAKE by Anna Mainwaring which releases on April 3rd! The tour will run for two weeks - from March 26th-30th & April 2nd-6th will have one stop per day and will consist of a mix of reviews, interviews, guest posts, and excerpts. We are totally stoked for the tour for REBEL WITH A CUPCAKE this March/April! We can't wait for everyone to read it! 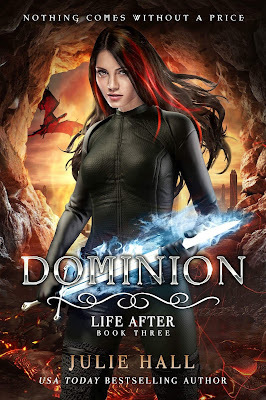 Jaime | 11:10 AM | 2018 Books | Dominion | Dragons | Fantasy | Julie Hall | Life After Series | Paranormal | Release Day Blitz | Yalit Please comment! Hey everyone! We are super excited to announce a Release Day Blitz that we're hosting for DOMINION (Life After, #3) by Julie Hall, which releases on March 20, 2018! The blitz is scheduled for, Tuesday, March 20th and can go up at Midnight Eastern or any time after that on release day, and we'd love to have you take part! If you'd love to participate but won't be able to get your post up by Midnight Eastern on Tuesday the 20th, posting later that day or the following day will be absolutely fine! The sign-up for the blitz will be super simple. We will provide the excerpt, cover, the blurb, buy and Goodreads links, Rafflecopter code, author details and links, and any other information for the post in a Word document. And for those who don't want to do more than "tweak" their posts, we will provide a coded post for Blogger blogs that you can just add your own formatting to. 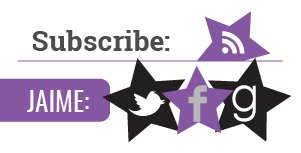 We will send everything you need for your posts by, February 4th . But if you do sign up after the 4th we'll send you the details out on the 5th. We are anxiously awaiting DOMINION's release on March 20th and are super excited to share the news about its release. Nothing comes without a cost. Fans of The Mortal Instruments, Buffy, and Supernatural won't want to miss out on all the twists and turns in the conclusion of this YA Fantasy journey. The LIFE AFTER SERIES is now complete . . . binge the entire series today! Jaime | 9:00 AM | 2018 Books | blog tour | Contemporary | Historical | Leslie Pietrzyk | Silver Girl | Unnamed Press Please comment! Hey everyone! We are super excited to announce the schedule for the SILVER GIRL Blog Tour which begins on Monday, February 26th! The tour runs from February 26th-March 2nd & March 12th-16th, will have one stop per day, and will consist of reviews, interviews, guest posts, & excerpts! It's the early 1980s. Ronald Reagan's economy will trickle down any day now, and Chicago's Tylenol Killer has struck: an unknown person is stuffing cyanide into capsules, then returning them to drugstore shelves. Against the backdrop of this rampant anxiety, one young woman, desperate to escape the unspoken secrets of her Midwestern family, bluffs her way into the fancy "school by the lake" in Chicago. There she meets Jess, charismatic and rich and needy, and the two form an insular, competitive friendship. Jess' family appears perfect to the narrator's wishful eye, and she longs to fit into their world, even viewing herself as a potentially better daughter than the unappreciative Jess. But the uneven power dynamic chafes the narrator, along with lingering guilt about the sister she left behind. 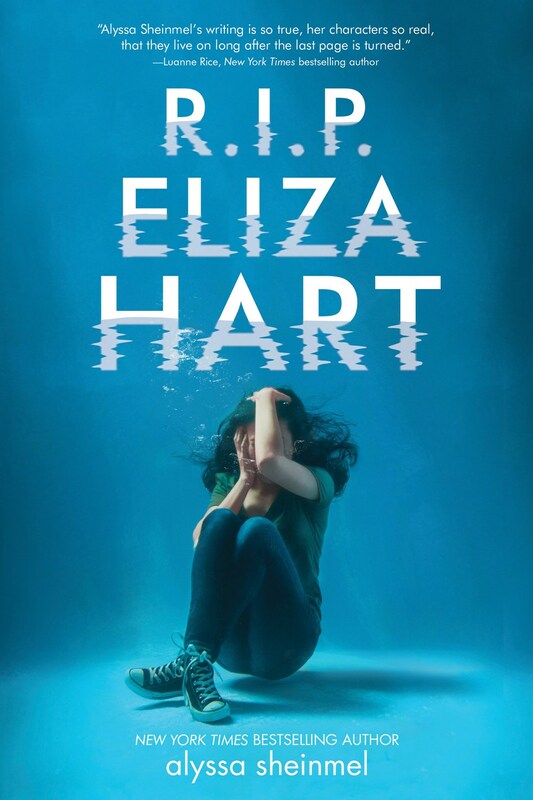 Her behavior becomes increasingly risky - and after Jess' sister dies in murky circumstances and the Tylenol killer exposes the intricate double life of Jess' father, she finds herself scrambling for footing. Nothing is as it seems, and the randomness of life feels cruel, whether one's fate is swallowing a poisoned Tylenol or being born into a damaged and damaging family. 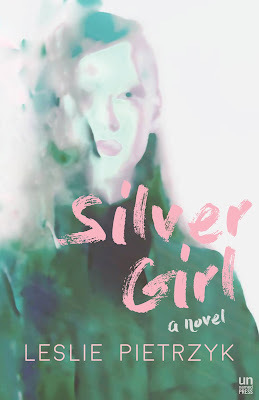 SILVER GIRL is a cousin to Emma Cline's The Girls and Emily Gould's Friendship in its nuanced exploration of female friendship, with the longing of Stephanie Danler's Sweetbitter. 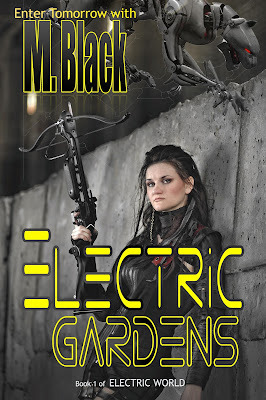 Jaime | 12:40 PM | 2018 Books | blog tour | Dystopian | Electric Gardens | M. Black | sci-fi Please comment! Hey everyone! 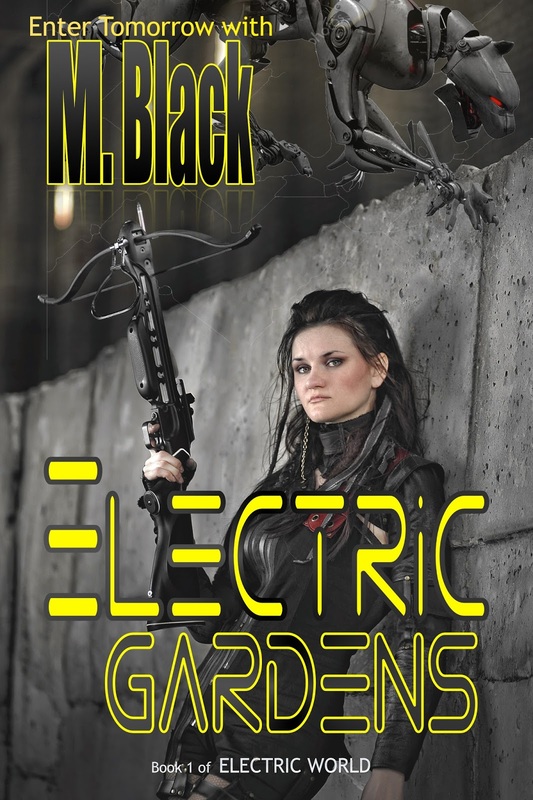 We are super excited to announce a tour we're hosting for ELECTRIC GARDENS by M. Black which releases on March 15th! 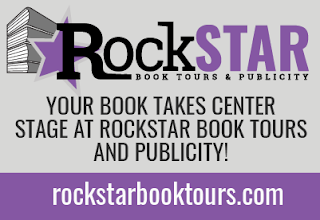 The tour will run for two weeks - from March 19th-23rd & 26th-30th will have one stop per day and will consist of a mix of reviews, interviews, guest posts, and excerpts. Review copies (eGelleys Only) will be provided by the author. We are totally stoked for the tour for ELECTRIC GARDENS this March! We can't wait for everyone to read it! Hey everyone! We are super excited to announce the schedule for the P.S. 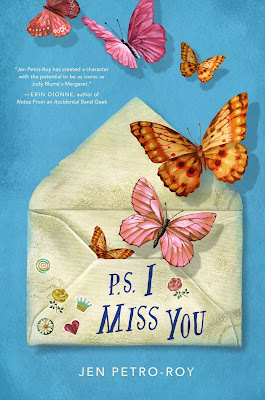 I MISS YOU Blog Tour which begins on Monday, February 26th! The tour runs from February 26th-March 2nd & March 5th-9th, will have one stop per day, and will consist of reviews, interviews, guest posts, & excerpts! 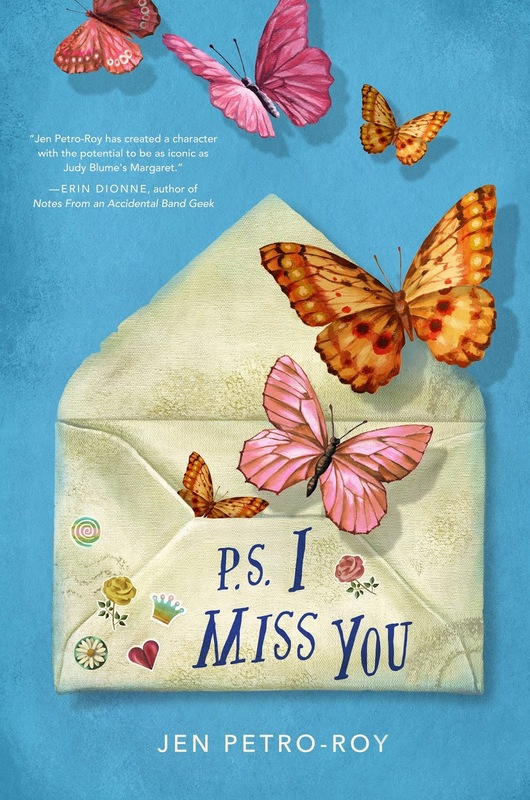 In this epistolary middle-grade debut novel, a girl who's questioning her sexual orientation writes letters to her sister, who was sent away from their strict Catholic home after becoming pregnant. As she becomes better friends with June, Evie begins to question her sexual orientation. She can only imagine what might happen if her parents found out who she really is. She could really use some advice from Cilla. But Cilla isn't writing back. 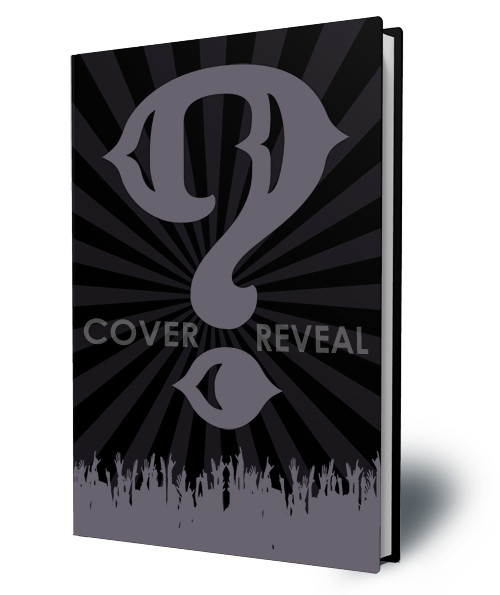 Jaime | 11:12 AM | 2018 Books | Cover Reveal | Dystopian | Feiwel & Friends | Fierce Reads | Jeff Sweat | Mayfly | sci-fi | Yalit Please comment! We are SO UNBELIEVABLY EXCITED to be able to announce this cover reveal blitz for MAYFLY by Jeff Sweat. It's releasing May 8, 2018! This is an exclusive reveal via Rockstar Book Tours and there will be some exclusive content for the blogger reveal AND an awesome giveaway! We're looking to have the reveal on Thursday, March 1st at 12:00 AM Eastern/11:00 PM Central/9:00 PM Pacific on Wednesday, February 28th. But you CAN post it later that day or later that week - it just can't be posted any earlier! 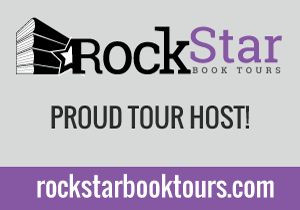 You do NOT need to be signed up as a host with Rockstar Book Tours to participate. EVERYONE is welcome to sign up. We really want to make this reveal awesome, so please feel free to share the news! The sign-up for the reveal will be super simple. We will provide the cover, exclusive content, book and author details, and the giveaway Rafflecopter embed code, as well as any other links in a Word document. We will send everything you need for your posts on February 2nd! But if you sign up after the 2nd we will send a batch out on the 3rd too! So if you can't post until later that day or later that week, it's totally fine! We are super excited to share this cover with everyone and we know you're looking forward to read it as well! But since that day is still a couple months away, we are thrilled to be able to share its cover. Jemma has spent her life scavenging tools and supplies for her tribe in the their small enclave outside what used to be a big city. Now she’s a teen, and old enough to become a Mama. Making babies is how her people survive—in Jemma’s world, life ends at age seventeen. Survival has eclipsed love ever since the Parents died of a mysterious plague. But Jemma’s connection to a boy named Apple is stronger than her duty as a Mama. Forced to leave, Jemma and Apple are joined in exile by a mysterious boy who claims to know what is causing them to die. The world is crumbling around them, and their time is running out. Is this truly the End? Jaime | 2:33 PM | 2017 books | Ami Blackwelder | blog tour | Exotoqa | M. Black | robots | Romance | sci-fi Please comment! Hey everyone! We are super excited to announce a tour we're hosting for EXOTIQA by M. Black which released on March 1, 2017! The tour will run for two weeks - from March 12th-16th & 19th-23rd will have one stop per day and will consist of a mix of reviews, interviews, guest posts, and excerpts. We are totally stoked for the tour for EXOTIQA this March! We can't wait for everyone to read it! Set in the year 2055 in British Columbia, Canada, where humans are part robotic and robots are becoming more humanlike, the line dividing the two is becoming less clear. When sixteen-year-old Fione meets Maci, a twenty-one-year-old Flexbot who escapes from ImaTech located along the crust of the Coast Mountains, Fione’s life is taken on a roller-coaster ride of events that begins with trying to save Maci from ImaTech Corporation and ends with trying to save the country. With Fione's best friend and love interest, a Flexbot named Pix, Fione and Maci must come face-to-face with the greatest dangers their country has ever seen and learn the disturbing secrets of the popular online program Exotiqa—which her friends, family, and most of the country has downloaded onto their Cerebral Slabs. This won’t be easy, since Maci’s only love and greatest enemy, nicknamed Thirty, is tracking her every move. Told from two points of view: Maci’s and Fione's, this dystopia is filled with plenty of futuristic technology, and tells a story of a world that could eerily mirror our own one day. Fans of Divergent and The Hunger Games will love this dystopian world with two young but strong female heroines who must save the fragile system crumbling around them. This story will even satisfy those looking for something with more philosophical themes and it is a perfect fit for readers interested in sci-fi, artificial intelligence, and robotics. Flexbot dialogue is told in Synchro Let text in print (10 font size in ebook), and human dialogue is told in Baskerville text (12 font size). Jaime | 1:13 PM | 2018 Books | A.K. Mills | blog tour | Contemporary | Medical | Mystery | The Snow White Effect Please comment! Hey everyone! 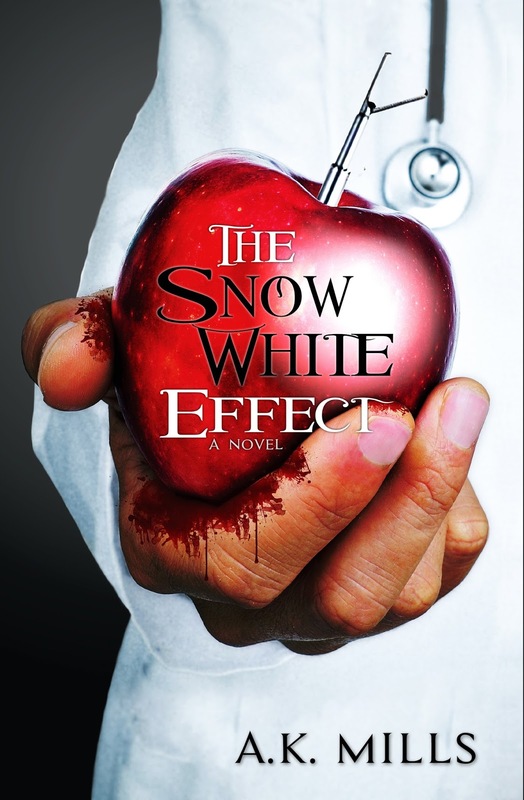 We are super excited to announce a tour we're hosting for THE SNOW WHITE EFFECT by A.K. Mills which releases on March 27th! We are totally stoked for the tour for THE SNOW WHITE EFFECT this March! We can't wait for everyone to read it! Dale knew he wanted to spend the rest of his life with Cindy from the first moment he saw her. Forty years later, nothing has changed. She is his best friend, his soul. When she dies shortly after having an elective procedure at Kendal Slate Memorial Hospital, he is left heartbroken with a million unanswered questions. Dale may not have a fancy medical degree, but he is convinced medical malpractice killed his wife. At thirty-eight years old with four children and a promising medical career, Emma Speck is living her dream. Being a doctor married to a surgeon, she finds comfort and normalcy in their hectic lifestyle. When her beloved life of chaos is brought to a screeching halt after she receives a phone call no one ever wants to get, Emma is forced to question everything she once believed in. Surgical department chair at Kendal Slate Memorial Hospital, Richard Oakley makes no apologies for his successes or failures. When his department comes under fire for harming patients, his attitude is no different; medicine isn’t perfect. Despite his attempts to ignore the meritless accusations, they’re not going away. In fact, the accusations are mounting, bringing with them elements of his past he had hoped to keep suppressed. Having children was always a part of Addison’s plan. However, after suffering a miscarriage that nearly killed her, Addison decides it’s time to stop trying to get pregnant. Instead, she opts for a surgical procedure that will end her hopes of conception. The surgery, unlike her fertility, is straight forward and safe. The hospital, Kendal Slate Memorial, is reputable. Why wouldn’t she trust her doctor? Four individuals. One hospital ignoring the truth. In this case, what you don’t know can kill you. Jaime | 9:00 AM | 2017 books | Ami Blackwelder | blog tour | Giveaway | M. Black | Quantum State | sci-fi | Yalit Please comment! Hey everyone! We are super excited to announce the schedule for the QUANTUM STATE Blog Tour which begins on Monday, February 19th! The tour runs from February 19th-23rd & February 26th-March 2nd, will have one stop per day, and will consist of reviews, interviews, guest posts, & excerpts! In a distant future only known as year 61 of MAQS, the quiet utopian district of Cherni contains the perfect system. 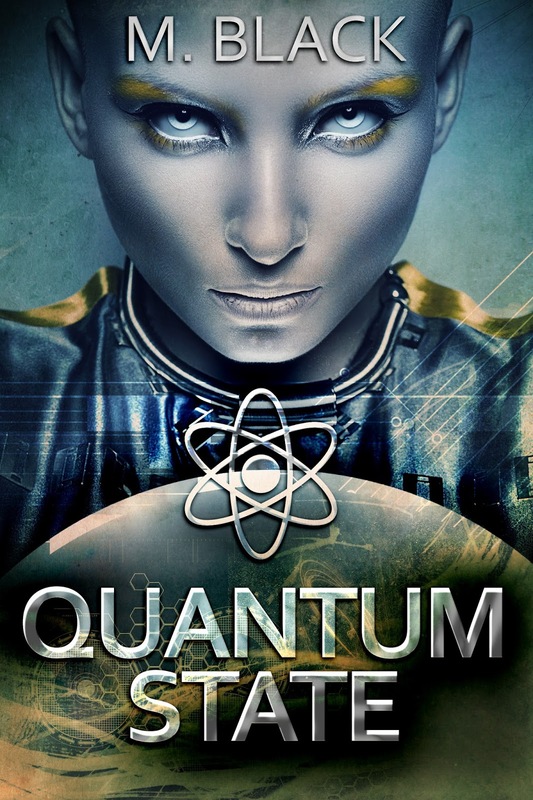 Everyone is assigned a duty, and life is harmonious directed by the chief quantum computer: MAQS. But Masha Mikhailov is not convinced of MAQS’ sincerity and is determined to escape. Aided by her best friend Esfir, Masha's plans take a surprising turn when she is assigned to marry the Keeper, Kazimir. With both time and options running out, can Masha find her way out... or be forever trapped in the "perfect" life designated for her by the powerful AI? 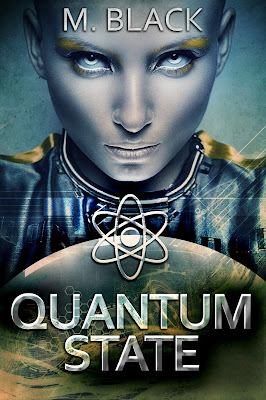 If you're a fan of Hyperion, The Giver, The Matrix, 1984 or Eagle Eye, you will love Quantum State.